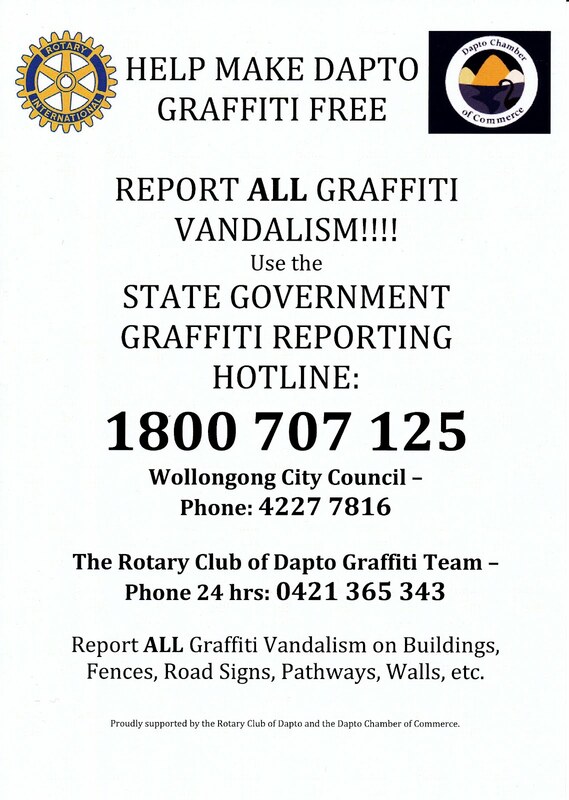 There are new phone numbers available for the reporting of graffiti in Dapto. Ring them to report any new graffiti in our town, let's keep the place looking nice. 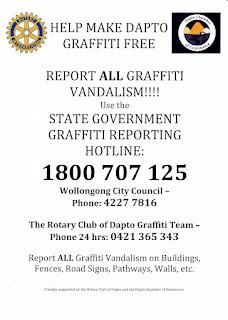 The Rotary Club and the Dapto Chamber of Commerce with the help of local businesses have managed to raise the funds needed to build and operate a graffiti removal trailer which will clean up our town but YOU need to report graffiti for it to be removed. The trailer will be out on the streets soon. Let's hope this campaign is successful in making Dapto and even better place to live in.